Home / Bollywood / Entertainment / Kartik Aaryan Burns the Dance Floor At The IPL Closing Ceremony! Kartik Aaryan Burns the Dance Floor At The IPL Closing Ceremony! Films and cricket… are two things that brings the entire nation together and well IPL’s closing ceremony is the perfect blend of two. The finale of the much famous league is one grand affair with various top Bollywood actors performing live before the match. This time stealing the thunder at the closing ceremony was Kartik Aaryan. The young star, who has a massive fan following, especially female admirers, marked his debut on the IPL stage at the closing ceremony, was one firecracker performer. His livewire performance made everyone groove to his tunes. 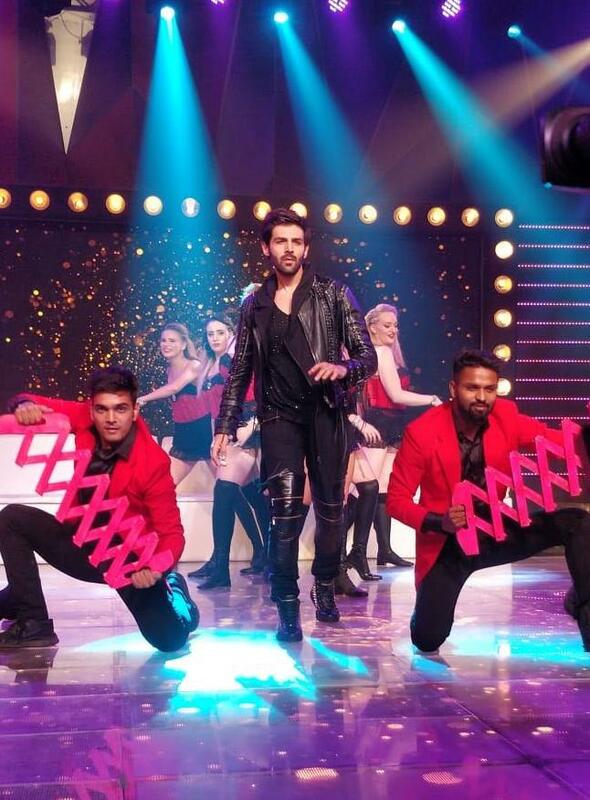 Kartik Aaryan shook a leg to his hit numbers – Dil Chori, Bom Diggy Diggy and Kaun Nachdi from Sonu Ke Titu Ki Sweety. The party numbers set the perfect mood to kickstart the intense match. He performed at complete ease and was easily the best performer of the evening. His energy was unbeatable. Flashing his million dollar smile and setting the dance floor on fire, but naturally the audiences were left asking for more. Kartik Aaryan's videos from IPL performance has gone viral on social media and his fans are going gaga over his performance. Apart from Kartik also, performed at the closing ceremony were Salman Khan, Katrina Kaif, Jacqueline Fernandez and Kriti Sanon.